We are pleased to announce that Beverly Sanford, who is an ordained teacher and long time meditator with the Princeton Buddhist Meditation Group, will be visiting us in Yardley on Monday, 3/13/2017. Beverly is looking forward to joining us again, and will teach about Everyday Life as Practice. As on other Mondays with visiting teachers, we will meet from 7 pm to 9 pm, in the main hall. Please arrive on time out of respect for the teacher and one another. We look forward to seeing you all there to welcome another wonderful Dharma teacher to the Buddhist Sangha of Bucks County! Click here to listen to Beverly’s last Dharma talk from her 2015 BSBC visit. 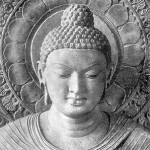 This entry was posted in Home and tagged buddhist teachings, dharma talk, teacher. Bookmark the permalink.